Every day, our bodies are exposed to different toxins. These can come from our own bodies (due to a poor diet) or be a result of our environments (pollution, gas emission, etc.). These toxins can cause deterioration and severe damage to our body, especially when we don’t get rid of them as we should. This can even cause a disorder in the organs whose job it is to purify our body. Although it’s impossible to get rid of all toxins, we can consume a diet that will help us have a better quality of life. In addition to cleansing our body, a healthy diet improves our overall nutrition and increases our enzymes while simultaneously helping to regenerate cells. 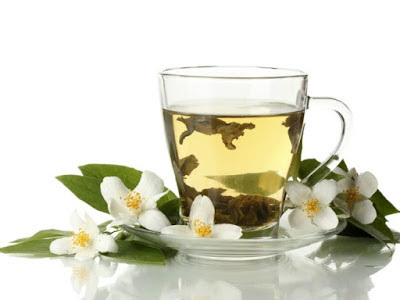 As a drink rich in antioxidants, green tea is a great help when it comes to strengthening your defenses and preventing illnesses like hypertension, the flu, asthma, and even stress. It’s truly one of the best detox tea recipes for your body. Pour a tablespoon of the tea leaves on top of a colander or filter. Put a pot with a cup of water on the stove. Ensure that it doesn’t reach boiling point, since it will give the tea a bitter taste. Put the colander on top of the mug that you will put your tea in, pour the hot water into it, and let sit for 3 minutes. If you would like, sweeten your drink with a little honey. Note: We recommend drinking this tea before the afternoon since it can cause problems with insomnia. Since it contains high levels of vitamin C, lemon is an excellent antioxidant and antiseptic. Thus, it helps to fight against free radicals that can cause aging and can cause the body to function poorly. Bring the water to a boil and add the lemon peel. Let sit for 10 minutes. After 10 minutes, add the lemon juice. Serve and sweeten with a little honey if necessary. Thyme contains antiseptic and disinfectant qualities. This makes it ideal for improving the functions of your liver. Your liver, along with your kidneys, is in charge of eliminating waste from your body. Heat the water and, once it starts to boil, turn off the flame and add the 2 tablespoons of thyme. After the indicated time, filter with a colander. If you would like, you can sweeten it with stevia or honey. This drink fulfills an important diuretic and sudorific function. It works to naturally accelerate the expulsion of toxins from the body. Boil the water with the two tablespoons of elderberry leaves for 5 minutes. Let sit until it cools. This plant provides us with diuretic and antioxidant properties. Thanks to these properties, it helps with the elimination of liquids and toxins from the body. Heat the liter of water. Once it starts to boil, add the celery leaves. Let boil for 3 minutes and then turn off the flame. Sweeten with honey if you would like. Dandelion, in addition to being an antioxidant, is useful as blood purifier, helps to decongest the liver, and has anti-inflammatory properties. First, heat the cup of water. Then, once it starts to boil, add the dandelion. Next, let it infuse for 3 minutes and then turn off the flame. Strain and, if you would like, sweeten with honey. These detox tea recipes are known for their abilities to help you lose weight. However, they’re also extremely effective when it comes to having and maintaining a healthy body that is free of toxins.